In order to maintain basic levels of food safety in your kitchen, it is important that different types of food are prepared separately to avoid cross contamination. 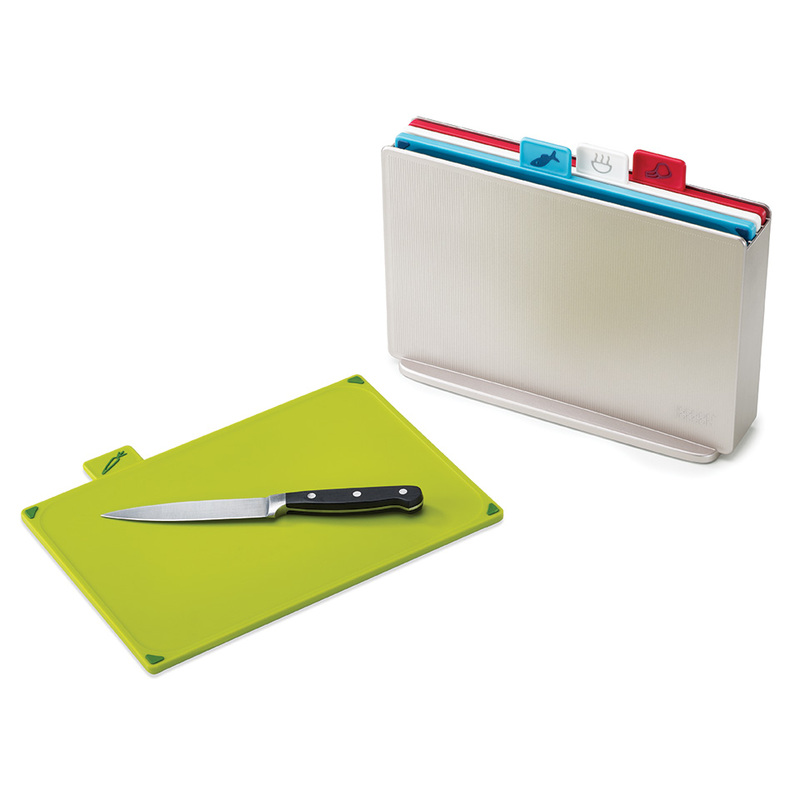 The Index™ colour-coded chopping board set from Joseph Joseph features index-style tabs indicating the type of food each board is intended to be used for. The individual cutting boards for raw meat, fish, vegetables and cooked food have sloped edges to prevent stray food or juice from escaping. Non-slip feet for the boards and the case - along with a knife-friendly cutting surface - ensures that all four boards are practical and safe to use whilst looking fantastic. This regular Joseph Joseph Index™ colour-coded chopping board set measures 33 x 23.5 x 8.5cm in total, and the individual boards are 20 x 30cm each.